Local New York-based agency, Brewster Allen Wichert, Inc., is excited to expand its reach and offer comprehensive insurance solutions to area residents and businesses. The agents at Brewster Allen Wichert, Inc. are devoted to building long-lasting relationships with the New York community, while providing comprehensive and affordable insurance solutions. New York insurance agency, Brewster Allen Wichert, Inc., is excited to announce the launch of its new website and interactive digital marketing campaign. This new and improved way of marketing is designed to advance the way the agency connects with, markets to, and serves its community. Brewster Allen Wichert, Inc. has partnered with Astonish – an insurance digital marketing, technology, and sales training company that specializes in modernizing the way the local insurance industry does business – to create an innovative, new online marketing strategy. The agency’s new marketing strategy features an exclusive “Virtual Insurance Office” meant to improve consumer engagement as well as provide the visitor with a personalized experience. The Astonish campaign is also designed to help the agency both find and keep new, prospective clients while continuing to broaden the agency’s reach across the state of New York. The agency’s new website, http://www.bawins.com, is divided into separate categories, making it simple for online insurance consumers to find exactly what they need. The ultimate goal is to make the online shopping experience both simple and educational for prospective and current clients. One of the oldest established insurance agencies in the New York area, Brewster Allen Wichert, Inc. has a long standing tradition of providing quality service. 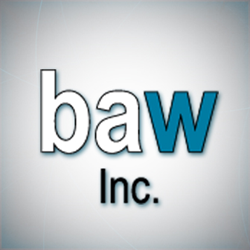 With many insurance options to offer including home, auto, business, and life, the agents at BAW have the knowledge to back up their friendly service. The agents at Brewster Allen Wichert, Inc. are devoted to building long-lasting relationships with the New York community, while providing comprehensive and affordable insurance solutions. To be a part of the agency’s exciting development, fill out a free quote form online or get social with the agents on various social media sites. Those interested can also give the agency a call by dialing 800-640-5106. Brewster Allen Wichert, Inc. is excited to move forward with this initiative and looks forward to sharing the excitement and experience with the rest of its community! Founded in the 1950’s by three individuals, the long tradition of Brewster Allen Wichert, Inc. has stood the test of time. The agents and staff are proven professionals as well as caring and conscientious people that clients can depend on. They hold their business up to three strong standards, honesty, compassion, and fortitude. They pride themselves on being experts in their field providing quality coverage at a price that meets the individual needs of their clientele.